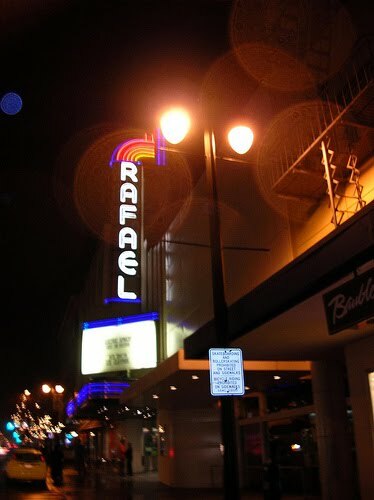 The Rafael Theater in San Rafael, California, began life as the Orpheus Theater in 1918, long before the Golden Gate Bridge connected Marin County to the city of San Francisco. A first-run movie house, the Orpheus was razed by fire and resurrected as the art moderne Rafael in 1938. The 1989 Loma Prieta earthquake caused significant damage to the building and the Rafael closed for ten years. In 1998 reconstruction began. The theater was gutted and renovated and reopened in 1999. 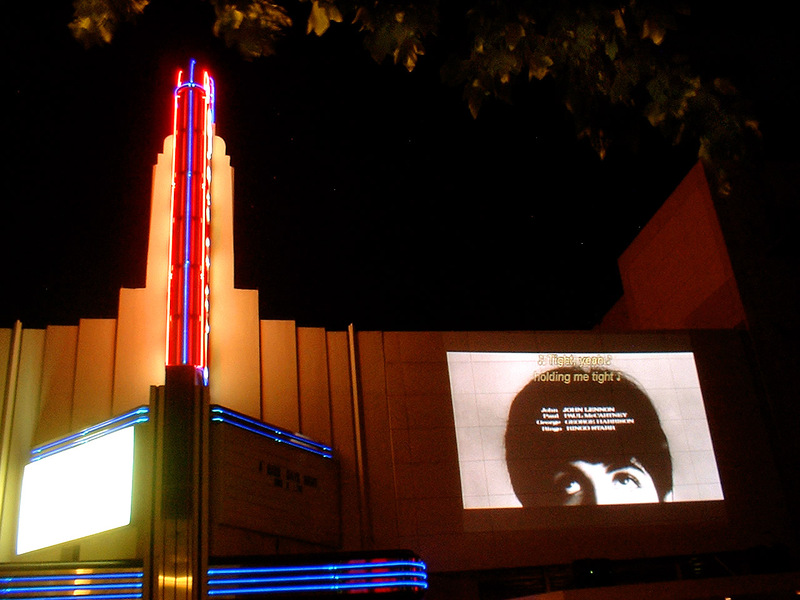 Today it is a three-screen art/indie/revival house operated as a non-profit by the California Film Institute and has been renamed the Christopher B. Smith Rafael Theater. The Mill Valley Film Festival, which runs from October 7 - 17 this year (2010) and will honor such luminaries as Annette Bening, Edward Norton, Sam Rockwell, Ryan Gosling and Julian Schnabel, screens many of festival films at the glorious Rafael. In the last few years I've seen quite a variety of films at the Rafael - La Vie en Rose (Marion Cotillard won the Best Actress Oscar for her performance and attended the Rafael premiere), Starting Out in the Evening (featuring a remarkable performance by Frank Langella), Francis Coppola's Tetro (a film that brought Luchino Visconti to mind) and the Swedish sensation, The Girl with the Dragon Tattoo. Most recently I attended a screening of the silent version of Alfred Hitchcock's Blackmail (1930) with accompaniment by the Alloy Orchestra (click here for my post about it) and a free-to-the-public presentation of Hitchcock's North by Northwest (click here for the post). A few years ago the Beatles' A Hard Day's Night was screened on the exterior of the Rafael. The street was closed to traffic and filled with people sitting and standing and singing along with John, Paul, George and Ringo. Eve, you are indeed fortunate to live in a city with such a wonderful venue for film. The pictures of the theatre are just gorgeous. The movies you got to see in a real theatre are so good, and I'm green with envy! I thoroughly enjoyed your article about this wonderful place. Also, your new blog is beautiful! I'm going to be your first follower! beautiful blog and nice post on the theatre..i live in PASADENA and our last revival house (THE RIALTO) closed in 2003..there is still the NUART in HOLLYWOOD and the LAEMELLE on COLORADO BLVD. features imports and indie films..c'est la vie et amour fou!!! The Rafael Theatre is an example that I wish would be emulated throughout the country. Unfortunately, the vast majority of people have their movie experiences in souless, shopping mall settings. What you describe is a place that really cares about presenting films in a manner in which they can best be appreciated, without distractions and with respect for the artists and their work. The focus on the creative and the historical combines much of what inspires me in movies. This is a good way to begin your blog ms Eve - I'll be following you with interest. I love your blog design, Eve! The photos of the Rafael are also awesome. Whoops! I accidentally deleted my comment above. 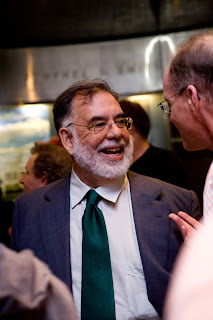 I live in Seattle where we have a rich film community with numerous unique theaters, so I was interested to read about the Rafael Theater, etc. I also mentioned how I was going to see the newly discovered "Metropolis" accompanied by the Alloy musical ensemble. I'll try to let you know how that goes... Anyways, I'm eager to read more of your blog, and I hope you generate support from all of us film-lovers! Hi Scott - I saw your comment before it was deleted. Not sure if you know I saw the silent version of Hitchcock's BLACKMAIL with accompaniment by the Alloy Orchestra at the Rafael in August. 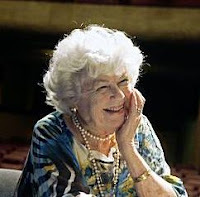 A great event, the ensemble added so much to the film. They are considered non-traditional by some - I thought they were superb and added much to the viewing. Maybe you'd like to be a guest contributor and blog about METROPOLIS...? Eve, How exciting, that you have been bitten by the blog bug! What a beautiful websight, you have put together! 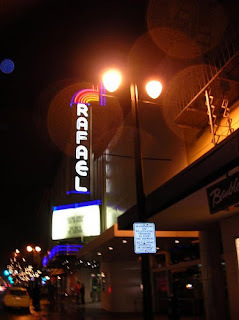 I really enjoyed your first article on, The Rafael Theater in San Rafael, California. Love the blog! I am a follower and created a link from my blog to yours! Great article too! Found my way over to your blog, Eve. Like the design. It must be cool to be able to watch films in such a grand movie house. Plus, you have the chance of rubbing elbows with some big-time film stars.